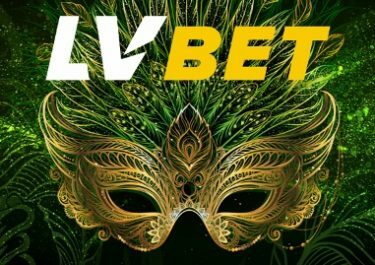 LV Bet – The Way of Adventures! Complete challenges for a share of €500 in bonuses and 1,500 Free Spins! Feeling adventurous this week? Then LV Bet is the place to be, discover the secrets of ancient Egyptians, mysterious magicians and wild pirates in their latest wager race on some popular slots such as Boof of Ra Deluxe™ or Ramses II™. Rise to the challenge and race to the top of the leader board to secure your share of the prize pool. The TOP50 scorers will win bonus prizes and Free Spins on Star Fortune. Not yet a player at LVbet? Then sign-up now and be treated to a superb Welcome Package with up to €1,000 in bonuses and up to 1,000 Free Spins. Can’t get much better than that. Bonus terms and conditions apply. Bet €/£ 5.00 or more: 7 points. Qualifying Games: Mystic Secrets™, Golden Ark™, Pharaoh’s Tomb™, Columbus™, Pharaoh’s Ring™, Quest for Gold™, Red Lady™, The Alchemist™, Boof of Ra Deluxe™, Ramses II™. Prizes: 1st – €/£ 200 Bonus + 300 Free Spins | 2nd – €/£ 100 Bonus + 150 Free Spins | 3rd – €/£ 50 Bonus + 100 Free Spins | 4th to 10th – €/£ 10 Bonus + 50 Free Spins | 11th to 14th – €/£ 10 + 30 FS | 15th to 22nd – €/£ 5 + 30 FS / 23rd to 42nd – 10 FS | 43rd to 50th – 5FS. Tournament bonus prizes and Free Spins will be credited to eligible players on the 27th of October 2017 by 17:00 CET. All Free Spins are on Star Fortune from BF Games. 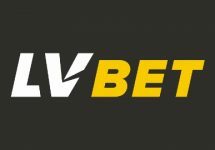 Wagering requirement is 35x FS winnings and 30x bonus prize amount, within five days. LV Bet bonus terms and conditions apply.